Flying high on the road to America! 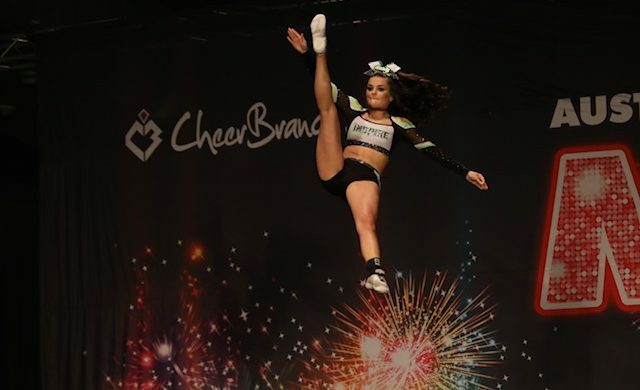 Eryn Allan is set to compete at an international cheerleading competition, The Summit Championship, in early May as a Caboolture Sports Club Rising Star athlete. As the only Australian Level Four team to qualify for this event, the stakes are high. Eryn started cheerleading in 2016 with only a dance background and has quickly progressed to competing in national and international championships. In 2016, she was selected to compete at the American National Championships with a team that became the third Australian team in history to place in the top three, coming in second by only 0.05 points. The dream continued as Eryn qualified for 2018 Worlds in America. The team, unfortunately, had to decline the bid to compete as not all the team members were able to attend. This year, Reign Inspires Open international coed team and current Australian National Champs, will travel to Orlando, Florida to compete against the best in the world. Eryn has been training three to four times per week in preparation for America and specialises as a flyer and tumbler. Each training session is physically gruelling and runs for two and a half to three hours in length. Caboolture Sports Club wishes Eryn and her team Reign all the best in their pursuit of the world title at The Summit Championship.